When my Fiance proposed back in January, I had a mini panic that using my full name wouldn't be relevant rather soon! After a few months off following giving birth, I decided to restart my blog from scratch and make it more like a diary, following our life, the products we use and any tips I learn along the way. Love, Becka x can not only follow with me once I'm married but it also suits any genre that I wish to write about, meaning that my blog can stay adaptable. I have been blogging for 4 years now! I started when I was unemployed in late 2012 when I discovered Tanya Burr on YouTube and wanted something to keep my brain active. It evolved into a fully fledge beauty blog however when I fell pregnant in August of last year, obviously things had to change. I quit my old blog in around June of this year as I felt out of place and just wasn't in love with it anymore. After a few months of trying something completely new, I came back full circle with a new name, a new look and most importantly a new passion! It's still a hobby although I've just done my first ever sponsored post. I've been really lucky over the years to have some great opportunities in return for products but as we all know, free baby wipes won't pay the bills! I toy between wanting it to be my job or keeping it as a hobby that I can pick up and enjoy whenever I want to. Certainly! There can be a real sense that we're all sat on our backsides blagging for free toys whilst our little ones watch Peppa Pig. Whilst I think there are some to there who are in it for the wrong reasons, they stick out like a sore thumb and don't tend to last for long. I've evolved into a parenting blogger as opposed to starting out as one but they're definitely seen differently to beauty bloggers or other genres. 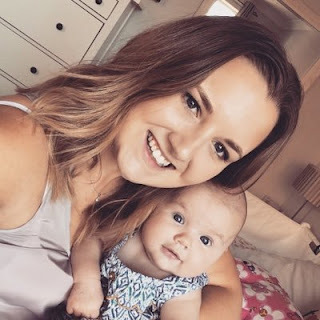 It has to be my friend Alice's blog and her 7 month update for Elodie (http://aliceatreides.blogspot.co.uk/2016/10/blog-post_52.html). We both adore Elodie and Alice so obviously any post of theirs is something we love to read, but as Elodie is a few weeks older than Sophie, I feel as though it prepares me for what's about to come. Plus Alice's photographs are also breathtaking thanks to her photographer Fiancé. 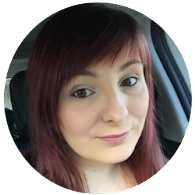 Alice has a really laid back approach to blogging and it shines through in her writing, nothing feels forced or rushed which helps me relax whilst I'm reading it. My Fiance can be quite dismissive of it, but he just doesn't understand. I haven't mentioned it to my family in such a long time that I think they've almost forgotten about it, they only hear when I'm in London for an event and I get lost or if I have any spares of things for them to share out, so they can't think it's too bad! I don't think I have particularly, as I said before it's not something that I talk about much "in real life" so other than the bemused looks and saying "so you just get sent stuff and have to write about it" I've not really had anything rude! It wasn't so much a stranger but someone I went to school with found me out at a mutual friend's party to say she read my blog and enjoyed it, I hadn't published it on any of my personal accounts at this point so it was a huge shock but also lovely to know that she enjoyed it! Be patient! and I cannot stress this enough, as someone who has been blogging for years, nothing frustrates me more than seeing "I've been blogging for a month, how do I make money from it?" because in my mind it's completely the wrong attitude to have and if there's one thing I've learnt it's that the support of fellow bloggers means a lot. Make friends genuinely, network and work hard. Don't expect big things overnight. It's nice to be nice. If recent events have taught me anything it's the importance of a good support network within blogging. It can be a catty and daunting place at times but if you want to make nice friends then you need to be a nice person yourself. I've now got two really good friends that I've found through blogging and I don't know what I'd do without them. You may gain followers quickly from jumping in on drama and "calling people out" but are they really following you for the right reasons?